At the weekend Simon and I ventured a few miles out of Newcastle to Wallsend. 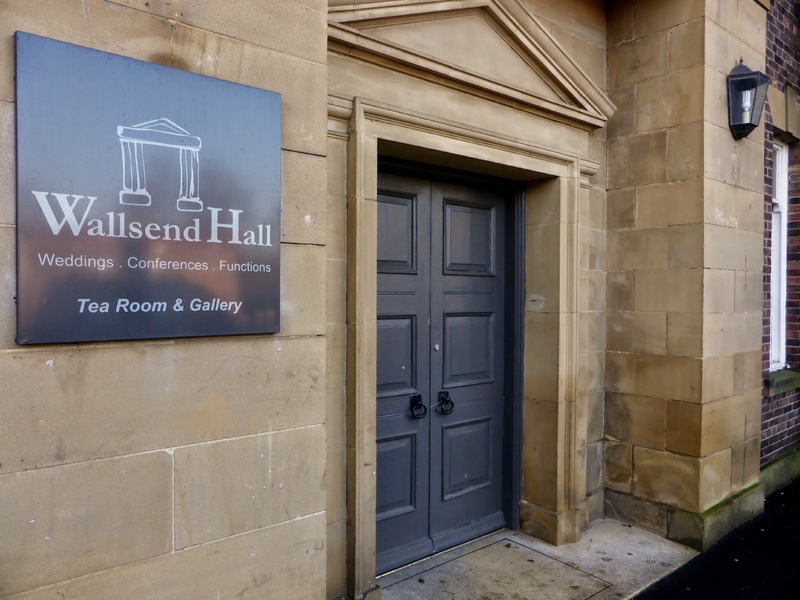 Wallsend is a town proud of its Roman history - it's home to the end of Hadrian's Wall and interestingly you can find signs written in both English and Latin dotted round Wallsend Metro Station. Before I get carried away giving you a lesson on North East history, I should probably tell you that this was a trip for our bellies rather than our minds. 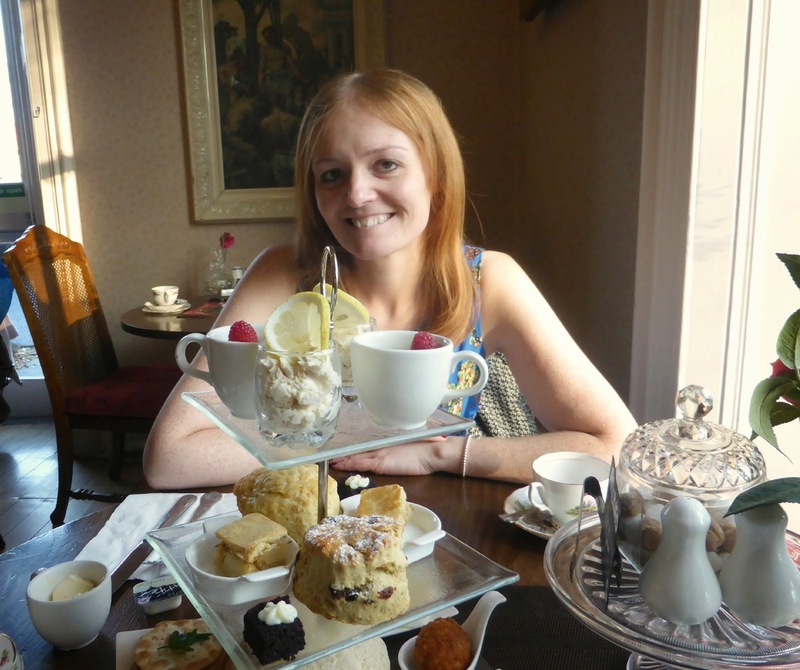 We had some important afternoon tea business to attend to so we headed straight to Wallsend Hall for an afternoon tea with a twist. 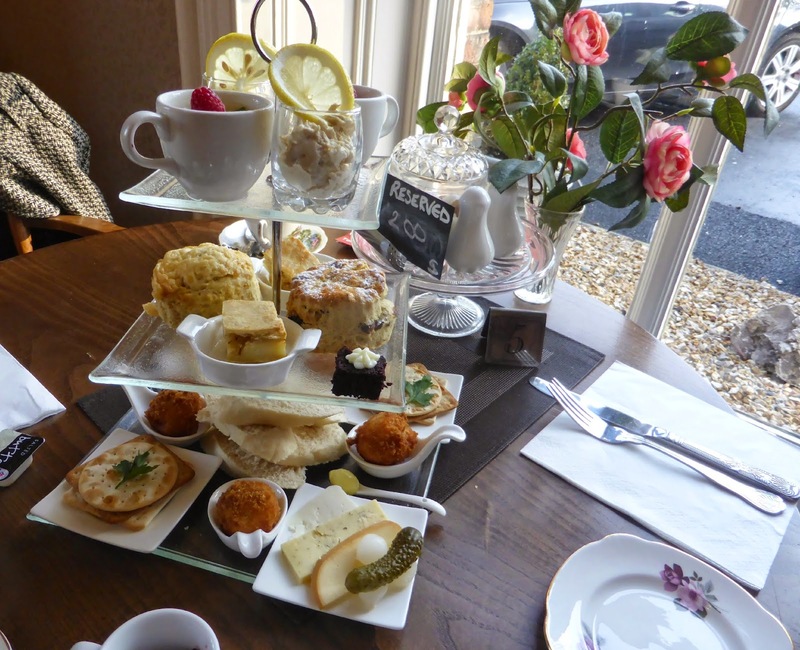 We bought our tea as part of a Living Social deal and were excited at the prospect of a Ladies and Gentleman's Northumbrian Afternoon Tea - something we hadn't tried before. 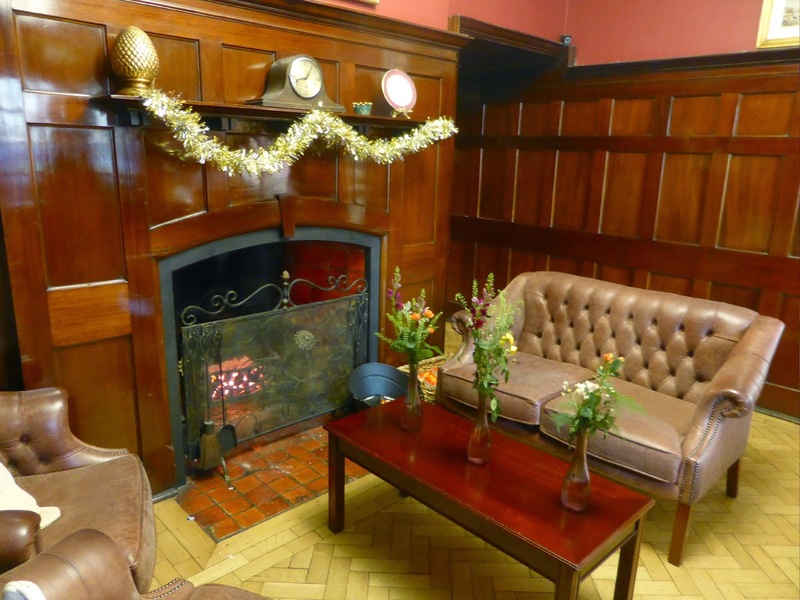 Walking into the Hall we were greeted by a warm reception room complete with roaring fire, even with minimal Christmas decorations it made me feel so festive. If I wasn't so hungry I could have happily taken a seat to wait for Father Christmas to appear down the chimney. Afternoon Tea was served in the tea room which was very busy with lots of people enjoying lunch. The room was lovely and warm which I was happy about, I love coming in from the cold to settle down somewhere comfortable and I appreciated being able to warm myself up at our window table by the radiator. It wasn't long before our tea stand arrived and it was a pretty impressive sight and very different to the afternoon teas that we've had in the past. 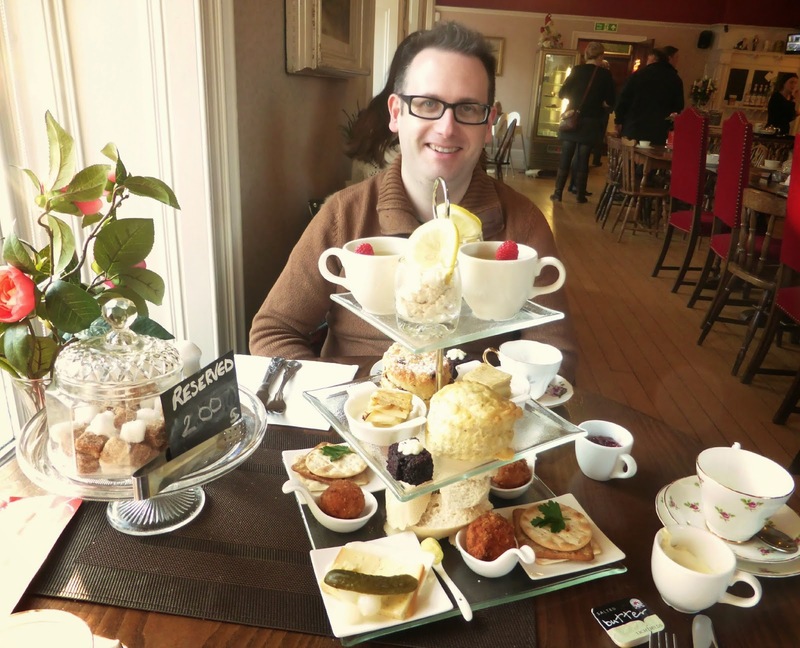 This was a very special afternoon tea that you could only find in the North East. Our waitress went through each tier, which was very much needed as it really was a spread with a difference. 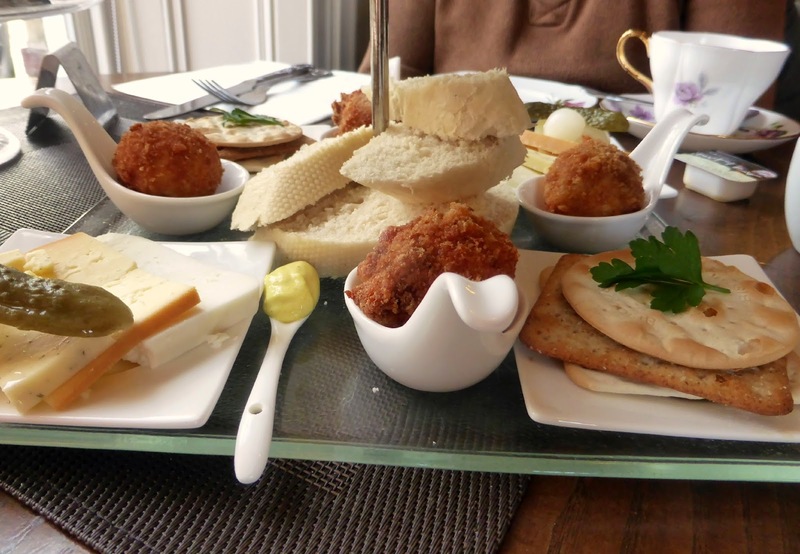 Our bottom tier held a mini Northumbrian Cheese Board served with Crackers, Gherkin and Pickled Onion, Ham and Pease Pudding Croquet and Bread with Craster Kipper Pate. The North East is so special to me and since moving here I've really enjoyed trying out all of the tasty food that the area has to offer so to have so many local delicacies in one sitting was great. 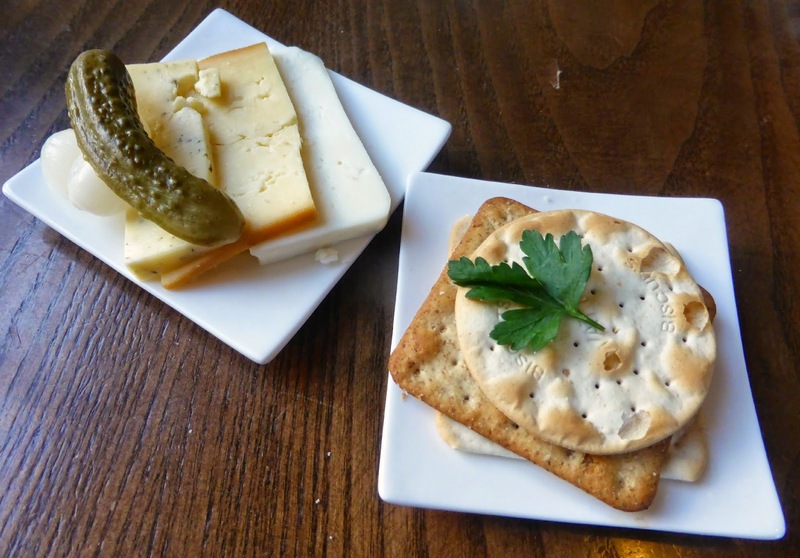 The Northumbrian Cheese was delicious and I munched it down far too fast. Pease Pudding is something I wasn't familiar with before moving to Newcastle, and its something I'm still not very good at describing. It's a savoury paste made from yellow split peas and is quite often eaten with ham. If you ever adventure to the North East you'll notice that Ham and Pease Pudding is a very popular sandwich filling here. I've tried it a few times, and whilst I'm not a huge fan of it in sandwiches I really enjoyed it in the Croquets served with a mustard dip. 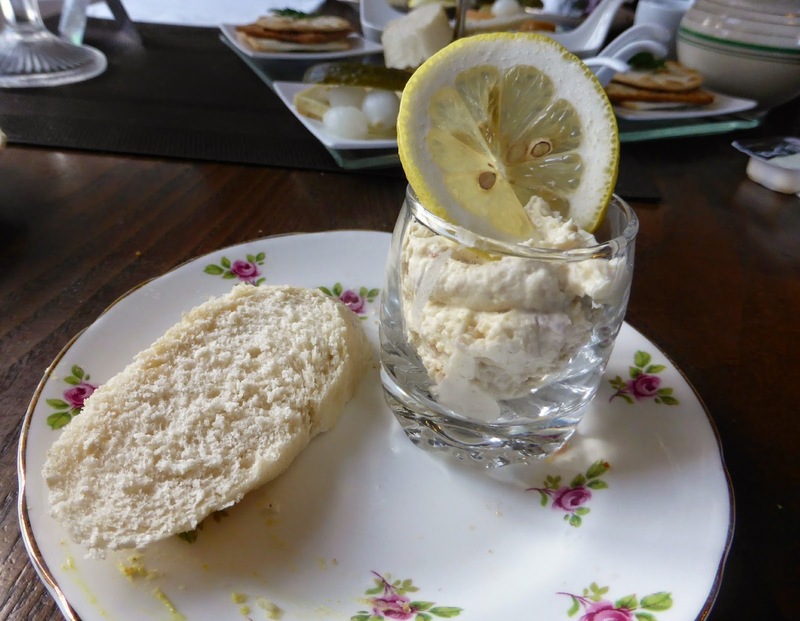 I smothered my bread in the Craster Kipper pate which was delicious. Craster is a little village in Northumberland, famous for its kippers. As I haven't made it up to Craster to explore yet I was very happy that a little part of Craster had found me. My only criticism was that it would have tasted even better with some chunky fresh bread rather than skinny little bits of baguette. Our second tier featured another North East favourite, Pan Haggerty (delicious layers of potatoes, cheese and onions) as well as a couple of scones. Unlike other afternoon teas we found ourselves sharing scones, we had one cheese and one fruit so had to cut them in half to share. I think we would have preferred to have one each. The jam and cream was lovely but the butter arrived in little packets which was a shame. The top tier, traditionally covered in cakes was a modest affair. We started with the refreshing Lindisfarne Mead Jelly. It was my first taste of Lindisfarne Mead and I am definitely a fan - made on the Holy Island of Lindisfarne, the Mead is created by mixing honey with grapes and water. The only cake on our afternoon tea was a tiny square of Brown Ale Chocolate Cake. It was delicious but very bite size. Simon did spend most of the tea looking a little confused, and couldn't help but ask "where's the cake?" We do love our cake, and whilst it was great to experience such a different afternoon tea I do think it needed a few more sweet things on the top tier. I would definitely describe this tea as a "Gentleman's Afternoon Tea" rather than a "Ladies and Gentleman's Afternoon Tea" - this lady really missed the cake! 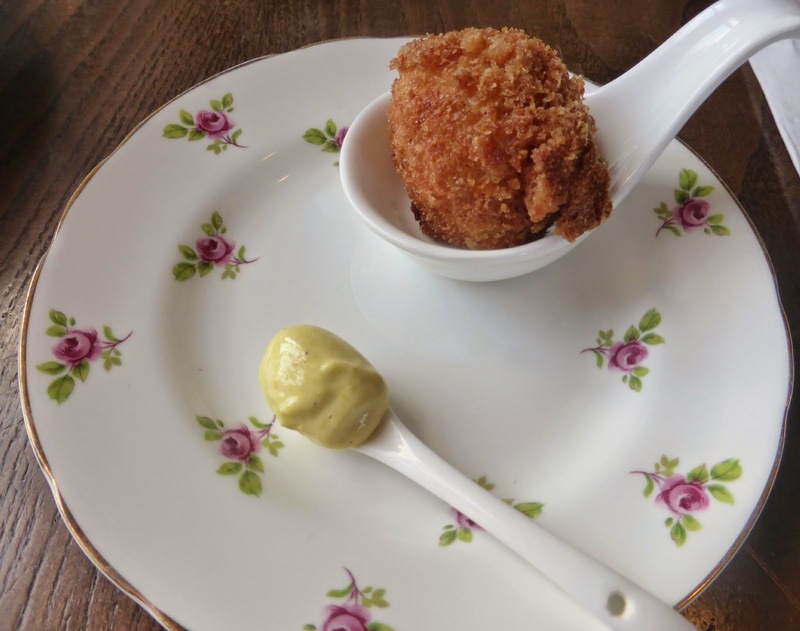 If you're a big fan of savoury bites and love indulging in some traditional Northumbrian food this is definitely the afternoon tea for you. 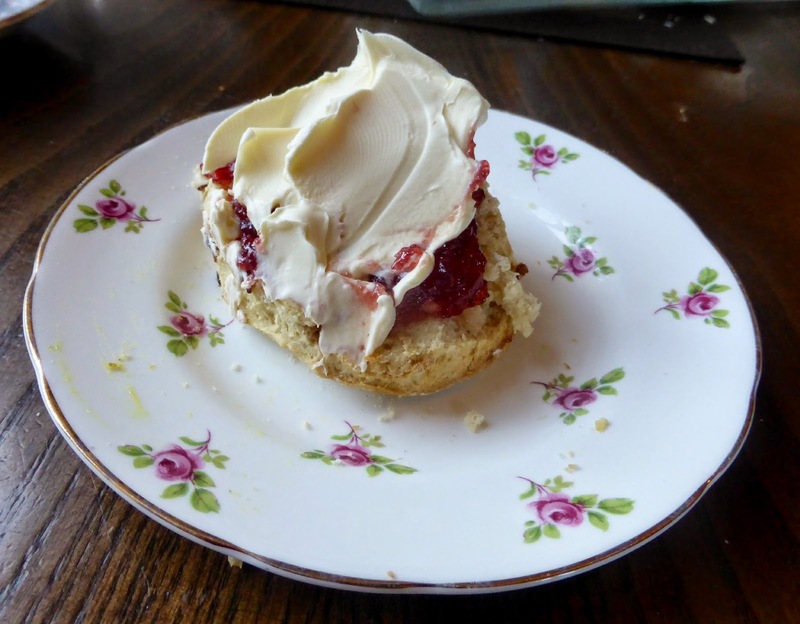 The food looks amazing - especially the scones with jam and clotted cream. Great that they use local produce too! I'm not sure I'll ever really love it or completely get it!